FSU Art BA’ 14 Christian Horton describes his experience with sculpture and screen-printing during a spring retreat. My name is Christian Horton and I am currently doing an internship with Live the Life Ministries. Live The Life believes that the foundation of our great country is our families, and that every child deserves a strong, healthy family. They work with children and adults all over the state, and through their coaching, counseling, classes, and retreats, they are able to improve relationships, strengthen marriages, and keep families together. So far in my internship I have specifically been helping out with a branch of Live The Life called Crosswild. Crosswild is a student ministry that uses retreats, camps and events that have an atmosphere that helps students to experience God and live bold lives for Him instead of simply hearing and walking away unchanged. 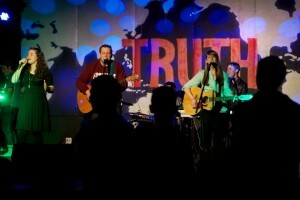 They recently put on a Spring Retreat entitled TRUTH, which I got the opportunity to be a part of. My tasks and responsibilities for this retreat were things such was designing merchandise, creating a set design, and being a part of a spoken word. I designed camp shirts and hoodies to be made through a company called Real Thread located in Orlando, Florida. It was cool working with this company because one of my focuses is screen printing and they do high quality screen printed shirts, and getting to see how they work with customers and what kind of printing styles they do was encouraging for my own work. 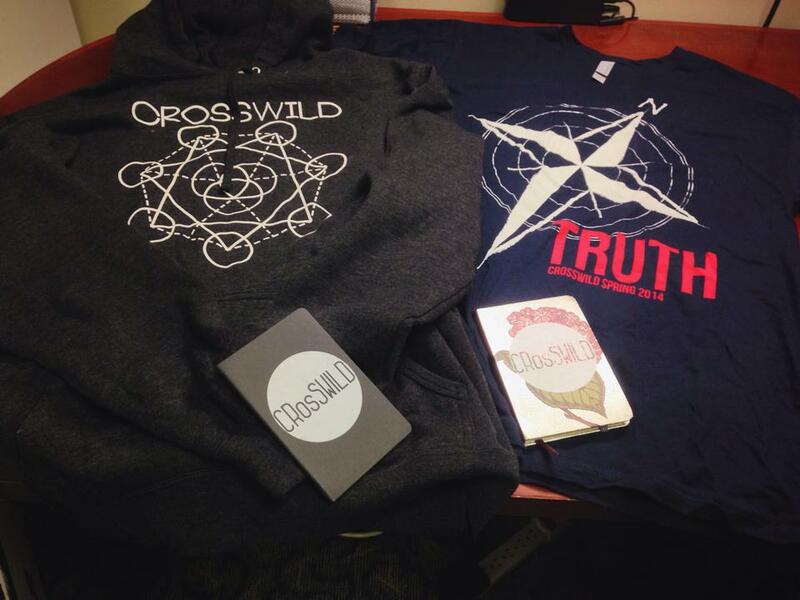 We also order journals that I screen-printed a logo on. It was also an interesting experience seeing hundreds of people walking around wearing one of my designs. I also had to create some sort of stage design/back drop. This task ended up combining with making a spoken word video, which a link is provided to. Collaborating with a videographer and writer to bring the idea of this to life was awesome because we all had input into the final product and how it would come across to the audience. I think one of the most memorable moments was spending two weekends in Panama City, Florida, at the retreats and seeing the kid’s faces as they watched the video and the impact the retreat had on them. I would recommend this type of internship to anyone looking to get involved with any religious organizations that like to create experiences physically and emotionally. My goals for this are to possibly get more involved with this organization or similar ones to continue designing and building environments for retreats or conferences.